This morning my two year old looked outside and said “rain, rain go away come again so I can play!” Something like that anyways! I’m sure many Spring Brides can relate to her feeling- a feeling of disappointment and worry. In her case, will she be able to go outside today? Will the rain wash away her sidewalk chalk? 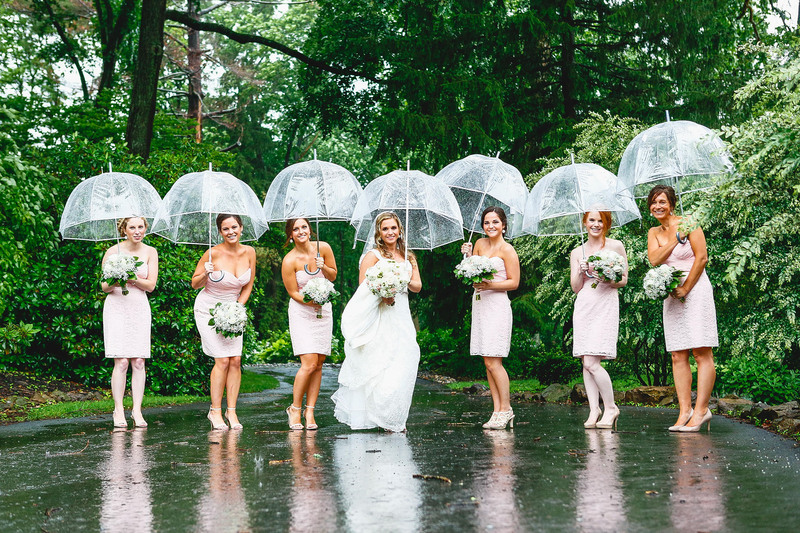 As a Bride you worry if you and your guests will be rained on, will the venue be muddy, will guests come if it is raining, etc. After planning your dream outdoor wedding for months, a rainy wedding day forecast can be very disappointing and stressful. This is when an indoor/outdoor wedding venue comes in handy! Growing up in the Texas Panhandle, this was something we knew we wanted to be prepared for when designing Autumn Oaks Event Center. We took in to consideration how unpredictable the weather can be and made it very easy for Brides to quickly transition their wedding indoors. We also added a 2,400 square foot back porch in case Brides want to move the wedding out of the rain but still enjoy the view outside. However, the” old wives tale” is that rain on your wedding day means good luck, so why not embrace it! I’ve found a few photos of daring couples who decided not to let the rain ruin their special day and continue with their plans. This couple definitely seized the moment. 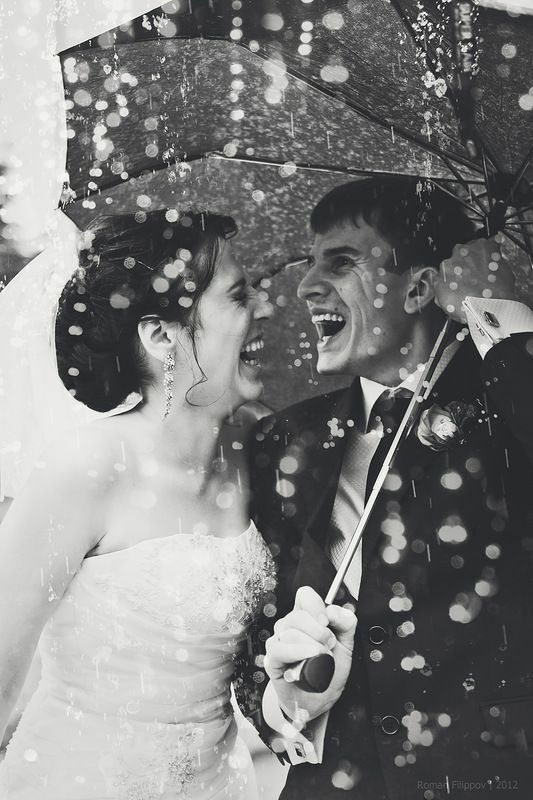 What a gorgeous picture to remember the pure joy they felt on their wedding day in the rain! 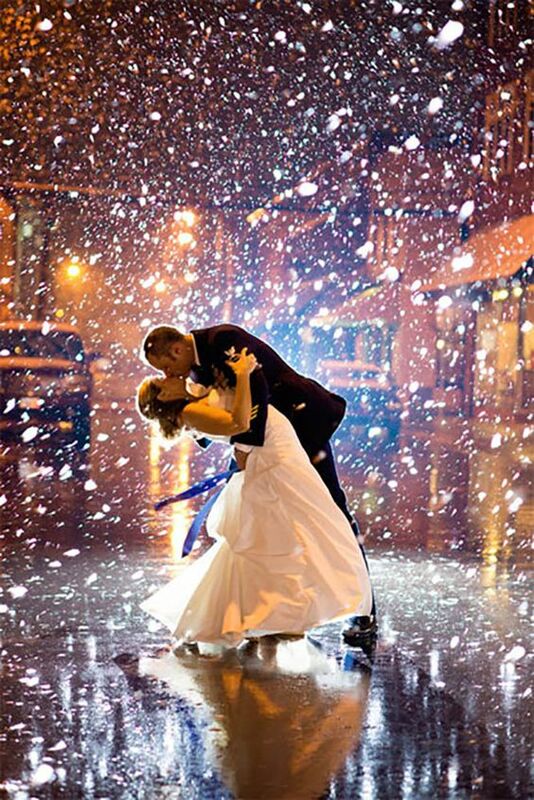 The couple who dared to dance in the rain! What a fun first dance as husband and wife! What a fun picture and great idea! 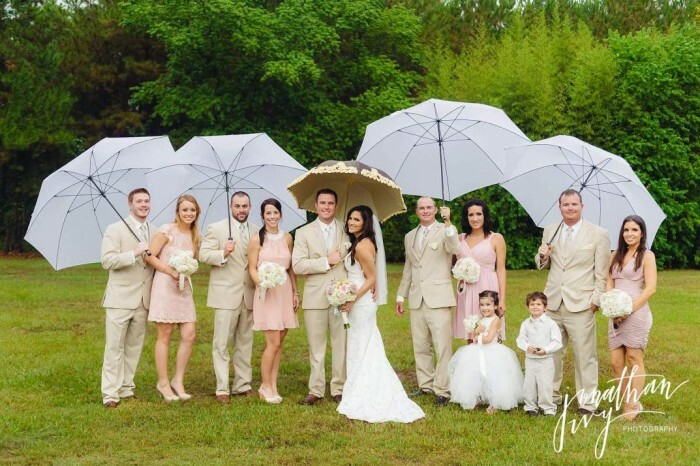 This couple incorporated their rainy day umbrellas in their photos while enjoying the sunshine! Love this picture of the Bride and her girls having some fun in the rain! 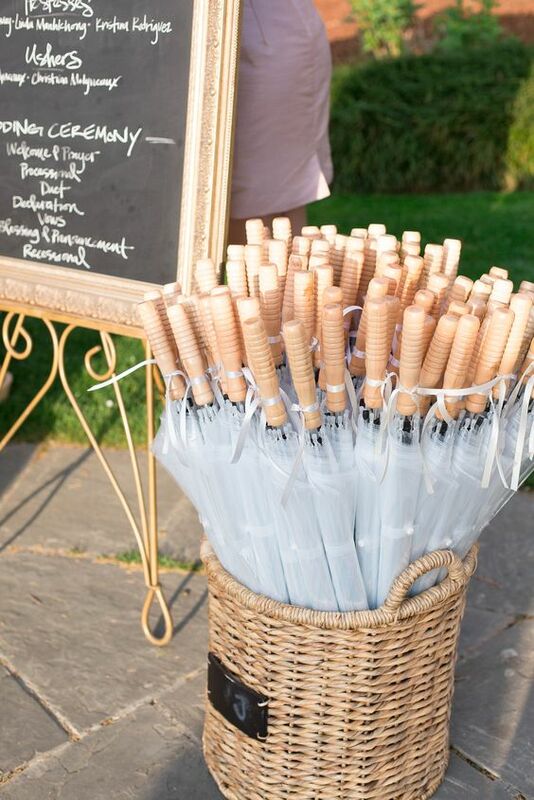 The clear umbrellas make for a gorgeous photo! Lastly, the couple who decided to be prepared and prepare their guest for a fun, rainy wedding day! Be sure to check out our Autumn Oaks Event Center’s Pinterest page for more rainy day ideas and wedding day inspirations!